No need to wait to build, this Great Room Ranch looks brand new! Custom paint, wood flooring, & pristine condition!! Move in ready w/ nice curb appeal, nestled in Charlestowne! Step inside & you'll notice gorgeous wood floors, modern décor, & divided bedroom floor plan! 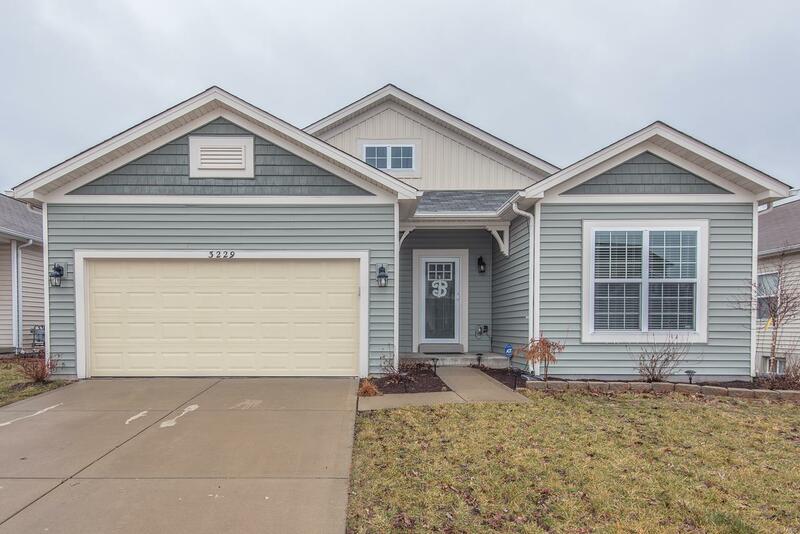 Master Bedrm sits in rear of home w/ its own private luxury master bath w/ adult height double basin vanity, soaking tub, walk in shower, & HUGE walk in closet! Formal Dining rm can be used however you would like (currently a sitting area). Beautiful Kitchen w/ staggered cabinets, glass corner cabinet, granite countertops, pantry, & breakfast bar which opens to the Great Rm!! Great Rm, Breakfast Rm, & Kitchen are nice & open for entertaining PLUS wood burning fireplace is always a nice place to relax w/ friends & family! Like to be outdoors, there's a large patio, fenced in yard & pergola stays! OPEN basement with rough in for full bath & egress window for possible 4th bedroom!! !